Astrochemists like DTM postdoc Anaïs Bardyn study particles from comets to better understand the Solar System's origins. Photo by Roberto Molar Candanosa, DTM. Comets provide some of the best samples to study how the Solar System formed and evolved 4.5 billion years ago. But until recently, few space missions had provided data on cometary particles. That began to change in 2014 when the European Space Agency started exploring comet 67P/Churyumov-Gerasimenko (67P) with its Rosetta space probe, an orbiter that observed 67P for two years and released a comet lander called Philae. DTM postdoc Anaïs Bardyn, who used the Rosetta's COSIMA instrument during her doctoral research, helped provide the very first observations of the chemical composition of comet 67P in late 2017. 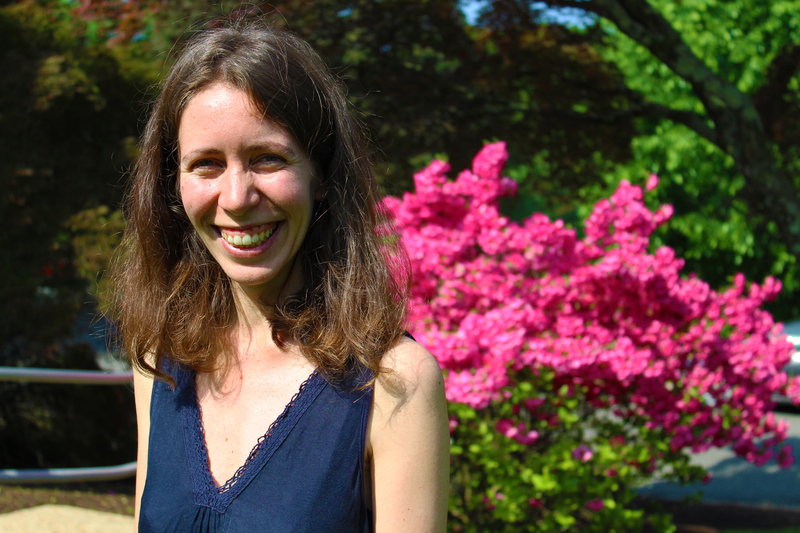 In this postdoc spotlight, she tells us about her work on 67P, extraterrestrial particles in the South Pole, and the importance of studying cometary dust to learn about our own origins. DTM: What do you do? AB: I am trying to understand what comets are made of. In particular, the organic matter contained in solid dust particles. To do that, I am using two sets of samples: Dust particles from comet 67P/Churyumov-Gerasimenko (67P) and extraterrestrial particles collected in Antarctica. The dust particles from 67P have been collected and their composition analyzed in situ by the COSIMA mass spectrometer during the Rosetta mission (2014-2016). The extraterrestrial particles are collected on filters from the clean Antarctic air by the Cosmic Dust Sucker at the South Pole Station. Some of these particles could originate from comets, which gives the opportunity to analyze them in the laboratory. These particles will be analyzed by a complementary suite of micro-analytical techniques with a particular focus on the characterization and quantification of the organic matter contained within the particles. Comets are among the most pristine bodies within the Solar System. The study of their composition and of their organic content provide insight into conditions of the formation and early evolution of the Solar System. It is very exciting to be involved in a space mission, particularly knowing that you are the first one to download the mass spectra of a cometary particle analyzed so far away from Earth! These data are unique and it is a privilege for me to work on it. Regarding the project in Antarctica, I have been fascinated by this place for a long time. I am always excited any time I search for extraterrestrial particles on the filters exposed to Antarctic air. What brought you to DTM? I first heard about DTM by the publications I read during my PhD research. As I was looking for a postdoc I contacted Larry Nittler asking if I could come to give a seminar. I enjoyed everything during my visit: the people I met, the facilities, the campus, the lunch club, and the beer hour. I remember going back home this day saying that I found the place where I wanted to do my postdoc! I am glad I had the opportunity to come here (from France) as a postdoctoral fellow. 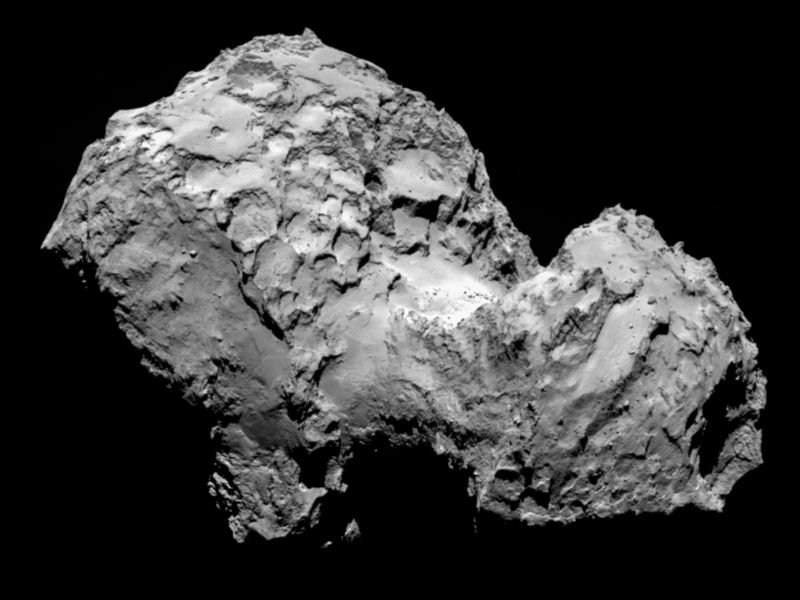 What have you been up to since your last paper on comet 67P? I am working on the quantification of the cometary hydrogen to carbon atomic ratio. In our last paper, we had to make the assumption that this ratio was 1:1 for the averaged composition of 67P's dust particles. By using carbonaceous samples analyzed on the COSIMA reference model (mostly Insoluble Organic Matter, or IOM, extracted from meteorites and provided by Conel Alexander, we are able to obtain a calibration curve that we can use for our cometary particles' analysis. It's exciting because we are actually getting a result very close from the assumption we made previously. By using the same set of IOMs, we are also working on another calibration curve to measure the deuterium to hydrogen ratio in 67P dust. Can you tell us about the time when you realized you wanted to be a scientist? It was during my second year at university, when I took a class about astronomy and astrobiology because I had heard that the professor was very good, and I loved it. Back then, I did not know anything about this subject except maybe the name of the planets. That course was where I learned about space missions and comets. The following years I took all the classes I could find on this subject, and then I had the opportunity to do a PhD on one instrument aboard the Rosetta mission! What's one of your favorite memories of being an astrochemist? When the Rosetta space probe arrived at comet 67P in August 2014, the COSIMA instrument started to collect cometary dust particles and imaged them very well. Some particles were analyzed. We were having our first cometary mass spectra! I was starting my second year of PhD. At the end of October 2014, COSIMA was down, which meant no more analysis. During four months we thought the instrument would not work for the rest of the two year-mission. The engineers of COSIMA (the Tiger Team) did an amazing work to fix it. They not only saved COSIMA, but also my PhD! Cometary dust particles on the surface of comet 67P with stars in the background in the direction of the Canis Major constellation. Processed by Twitter user @landru79, this GIF comprises 25 minutes of images captured on June 1, 2016 by the Rosetta probe. If you weren't an astrochemist, what else would you be? I think I would enjoy being a teacher or even a pastry chef! What research do you hope to pursue in the future? We will see... maybe I will be working on samples returned from an asteroid or comet, or maybe I will be working for the next cometary space mission! What do you think will be different in your field of study in, say, 100 years from now? In 100 years from now I am hoping we will have sample returns from many new bodies of the Solar System, such as Mars, Titan, Europa, Enceladus and comet 67P!